ORs have come a long way. This is the Operating Room in 3 Block at the Eastern State Penitentiary in Philadelphia, used to do minor procedures on inmates until the prison closed in 1971. It was a lot cleaner when it was in use! 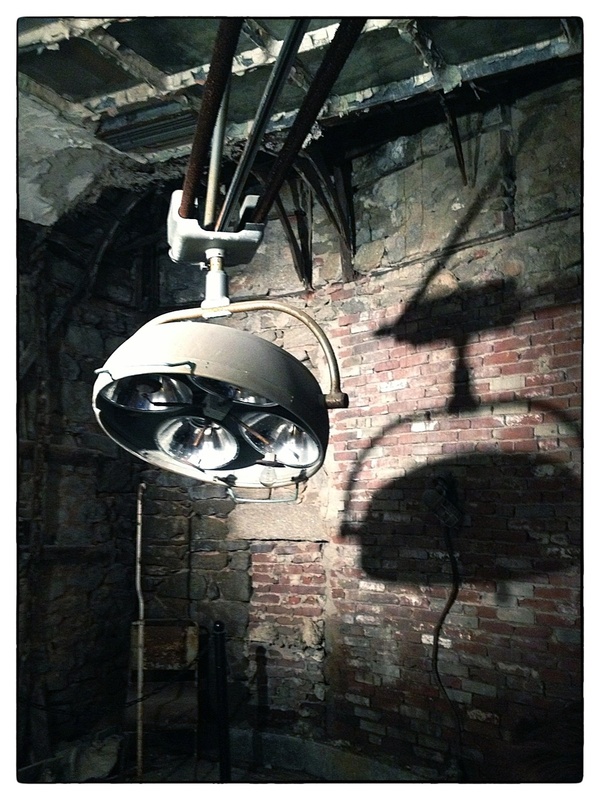 Operating Room at Eastern State Penitentiary in Philadelphia, shot September 4, 2013.